This episode features a conversation with two hip hop pioneers from Tanzania, KBC & Zavara (aka Rhymson) from the group Kwanza Unit. The conversation discusses the early days of hip hop in Tanzania, the influence of Mwalimu Julius Nyerere (Tanzania’s 1st President) on the social consciousness in Tanzanian hip hop, language and Kwanza Unit’s decision to begin performing in Swahili, the current state of hip hop in Tanzania, the relationship between artists and the national arts council and their policies around copyright and royalties. Parts of the conversation are in Swahili. Non-Swahili speakers will be able to follow the conversation and attempts are made to summarize the Swahili portions into English. Perullo, Alex. (2005). Hooligans and heroes: Youth identity and hip hop in Dar es Salaam, Tanzania. Africa Today, 5 (4), 74-101. Perullo, Alex. (2011). Live from Dar es Salaam: Popular Music and Tanzania’s Music Economy. Bloomington: Indiana University Press. Perullo, Alex. (2012). Imitation and innovation in the music, dress, and camps of Tanzanian youth. In Eric Charry (Ed), Hip Hop Africa: New Music in a Globalizing World (pp. 187-209). Bloomington, IN: Indiana University Press. Ntarangwi, Mwenda. (2009). East African Hip Hop: Youth Culture and Globalization. University of Illinois Press. Casco, J. A. (2012). From Music to Politics: Hip Hop in Africa as a political option for the youth: the case of Tanzania. Youth and the city: expressive cultures, public space appropriation, and alternative political participation (pp. 1-18). Madrid: 8º Congreso Ibérico de Estudios Africanos. Reuster-Jahn, Uta. (2014). Antivirus: The revolt of bongo flava artists against a media-and-entertainment empire in Tanzania. In Matthias Krings and Uta Reuster-Jahn (Eds), Bongo Media Worlds: Producing and Consuming Popular Culture in Dar es Salaam (43-78). Cologne: Rüdiger Köppe. Clark, Msia Kibona (2012). Hip hop as social commentary in Accra and Dar es Salaam. 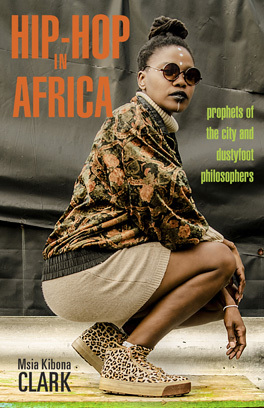 African Studies Quarterly, 13 (3), 23 – 36. http://asq.africa.ufl.edu/files/Clark-V13Is3.pdf. Clark, Msia Kibona (2013). The struggle for authenticity and against commercialization in Tanzania. Journal of Pan African Studies, 6 (3), 5-21. http://www.jpanafrican.com/vol6no3.htm. Clark, Msia Kibona (2014). The role of new and social media in Tanzanian hip hop production. Les Cahiers d’Etudes Africaines, 216 (4), 1115-1136. Clark, Msia Kibona (2014). Gendered representations among Tanzanian female emcees. In Msia Kibona Clark and Mickie Mwanzia Koster (Eds), Ni Wakati: Hip Hop and Social Change in Africa. Lanham, MD: Lexington Press. Love, Peace,Unity n’ Having Fun! Yo, Peace Out! Thanks for putting this together. I always wondered what kwanza unit is doing. I wish they put up kwanzanians album for distribution on iTunes or other outlets, so I could get a copy. I m big fan. You did a great job on this podcast. Thank you. Thank you! It was great to get them together to chat.